Abuja based Rev. Father and record label owner Rev. Fr. John Chinenye Oluoma A.K.A Fada Chinenye has officially announced the release of his new single titled 'K'anyi Keleya' and also the release of his debut album titled 'His Presence'. 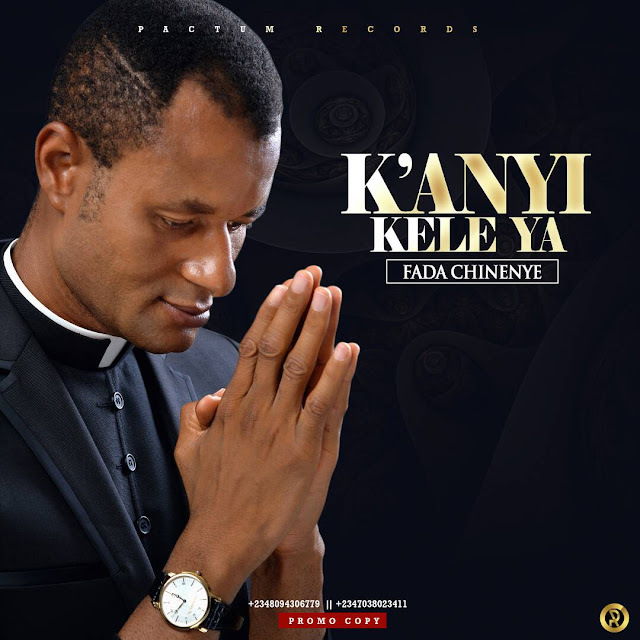 Fada Chinenye who is a Catholic Priest of the Arch Diocese of Abuja and also a Gospel Artiste/Song Writer said 'K'anyi Keleya' is the first single from the soon to be released 'His Presence' album, which will be officially released at a special event in Abuja, Nigeria. 'K'anyi Keleya' is one of the hit tracks in the album and it was produced by Dannyjoes Beats. Fada Chinenye is the CEO Pactum Records. Funds realized from the Launching will be used to build a World Class ‘Digi analogue’ studio with State of the Art equipment in Abuja. The studio will aid the teeming number of talented youths in their quest for music career, as well as serving other needs.